Amman, Jordan. 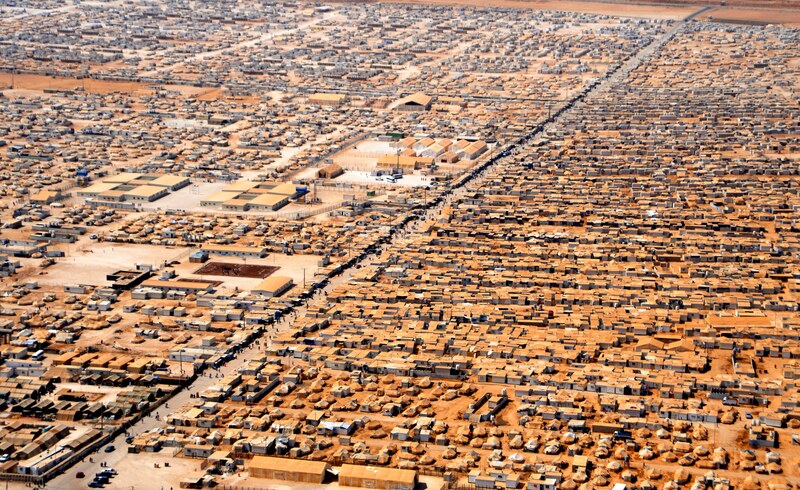 Five hundred thousand refugees in one camp. Don and I looked out the bus window to our right, viewing an ocean of earth-colored tents stretching as far as our eyes could see. I believe that was the same camp Pastor Val showed us this weekend as she spoke of her recent visit to Jordan. She told us of the two biggest camps–one filled with Christians fleeing ISIS, the other with Muslims escaping ISIS–Muslim on Muslim violence. Val met some of the Christians and pastors in the camps. Most have fled their countries with only the clothing on their backs. Children band together when they have lost their parents. The needs are tremendous. Valerie was there to investigate ways in which we at Twin Lakes Church can help. Jordan’s resources are being sorely taxed with their open borders allowing those fleeing persecution to enter. If God cares so much for the sparrow, who is here today and gone tomorrow, how much more does He care for these displaced persons. I look forward to hearing more as we learn how we can participate in His love for these refugees. Father, thank you that you care for the displaced and terrorized refugees in Jordan, as well as in other parts of the world. Help me not to hide from the agony of their stories, but to eagerly watch for and participate in ways to help. I do feel overwhelmed at times … what can my little piece do to help? But you multiplied five loaves and two fishes to feed five thousand; and you can do that with our offerings as well. Guide us as we seek your wisdom to help these traumatized peoples. Thank you ,Carol for drawing our attention to this overwhelming and sad problemm. We must find some way to help. I have so much to be thankful for, especially when I see what others are enduring. Thank you Fritz. I am praying for your current needs too. I just read that the American Bible Society is leading trauma healing sessions in Jordan. Grateful that is beginning.